I first met Rob Ross about 15 years ago when he came into my editorial offices to show me a captivating portfolio of images he had taken of people and their communities in the cross border region of the DRC and Rwanda around the fringes of Lake Kivu. Needless to say it wasn’t long before the photographs featured in Africa Geographic which I was publishing at the time. One image in particular from that place steeped in so much human misery remains indelibly printed in my mind – that of a beaming boy with an impossibly large basin of bananas on his head. And a big project it has certainly been, entailing many years of travelling back and forth between the United States, his second home here in Cape Town and The Selous Game Reserve in Tanzania, which as he so aptly describes as being “A Long Way From Anywhere”. 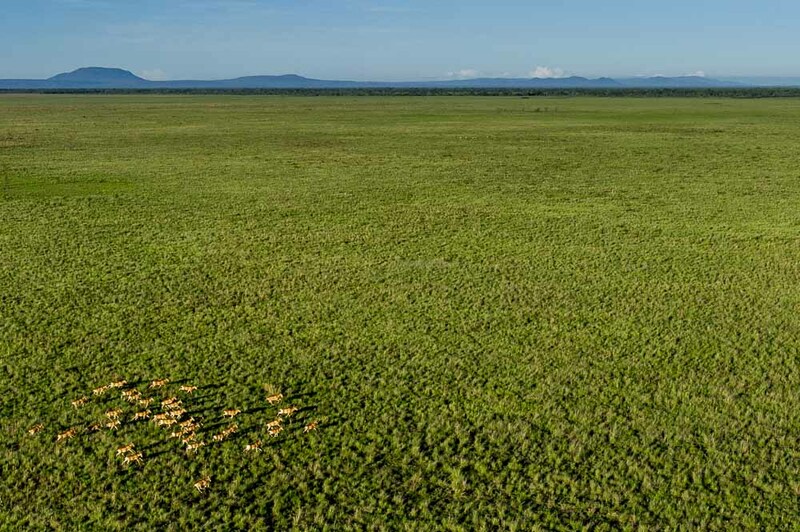 The Selous Game Reserve in Tanzania is one of the last remaining great wilderness areas in Africa – it is bigger than the entire country of Switzerland. 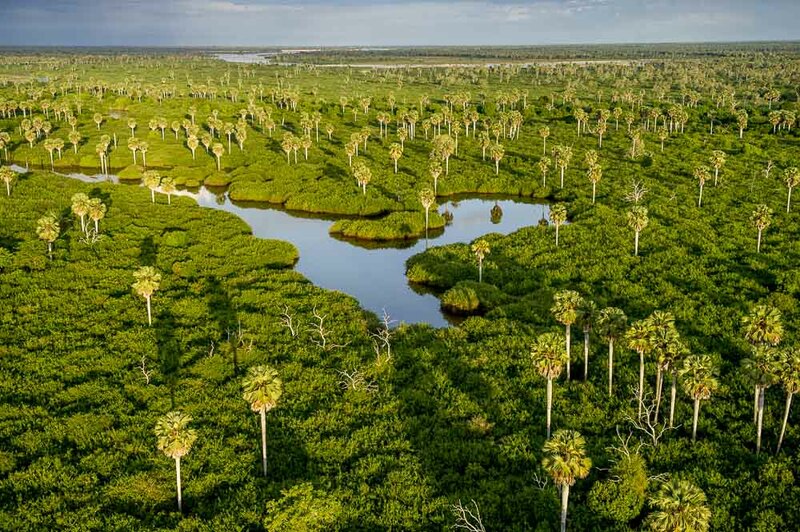 Proclaimed a UNESCO World Heritage Site in 1982, the Selous is Africa’s oldest and largest protected area and remains one of the continent’s greatest wild places. 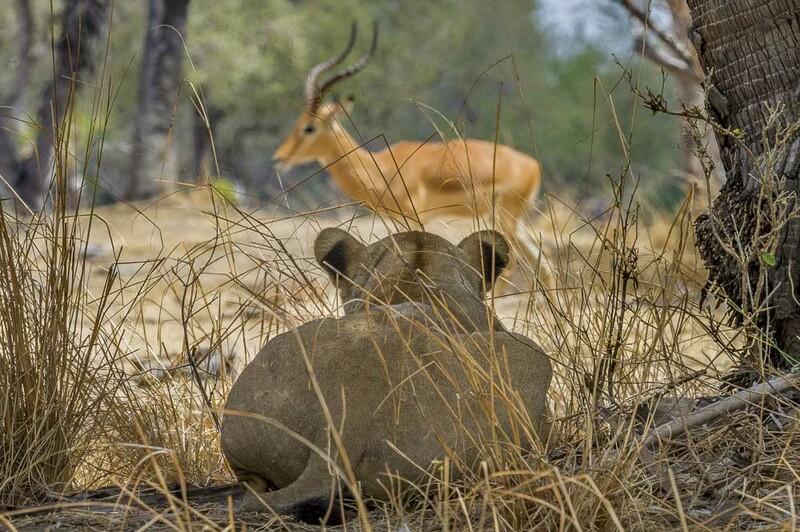 Teeming with life—including elephants, giraffe, more lions than any other protected area on the continent, large packs of wild dogs and vast herds of buffalo—the Selous is a crown jewel of biodiversity and wilderness preservation. 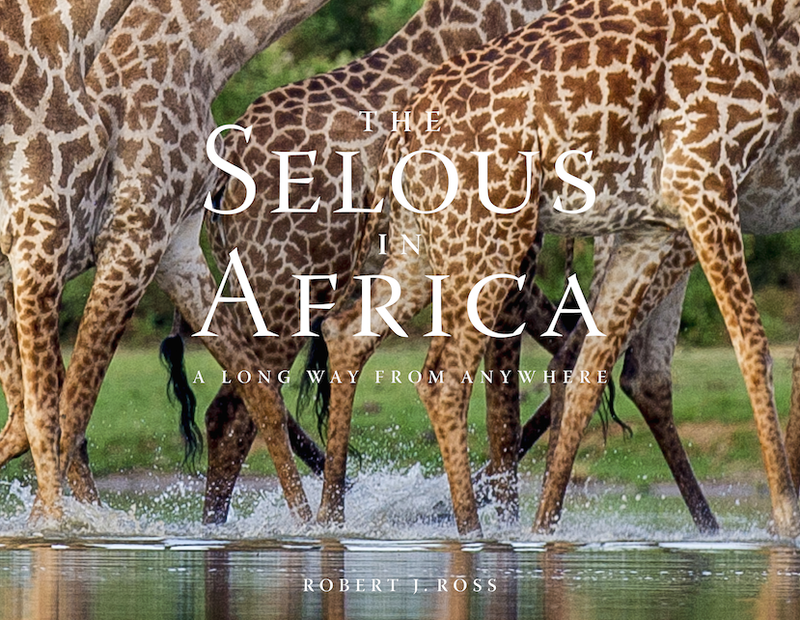 Rob took more than 100,000 photographs in the Selous over four years. But only 400 could be accommodated in the book, so a great culling was needed. It was done with characteristic and painstaking attention to detail – I know this first hand from many hours of discussing the honing process through progressive selections to reach the final cut. The result is magnificent – 276 pages of heart-stopping images of impossibly vast landscapes, the great beasts of the African savanna and the small things, so easily overlooked but which stitch together the whole. The text includes original essays on the history and ecology of the Selous as well as words focused on the clear and present threats facing the Game Reserve including elephant poaching and human encroachment. These are complimented by generous excerpts from Sand Rivers, Peter Matthiessen’s classic. But it is the photographs, bursts of colour, shape and form leaping from every page, that tell the real story in this beautifully produced book. PS. 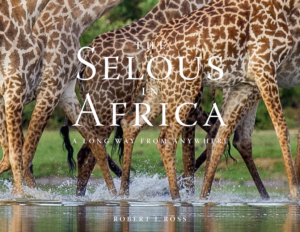 I hope you enjoy these glimpses of The Selous in Africa – A long way from anywhere and that you will be moved to order a copy which you can do by contacting Rob direct at Robert J Ross Photography. It is also available in South Africa at Chandler House in Cape Town and soon in bookstores around the country. Enquires: Johan Hugo at Peter Hyde Associates. After the first rains, the open plain near Matambwe is transformed from a dull and dusty brown to a rich emerald green within a few weeks A herd of Lichetnstein’s hartebeest canters across the revitalised terrain. 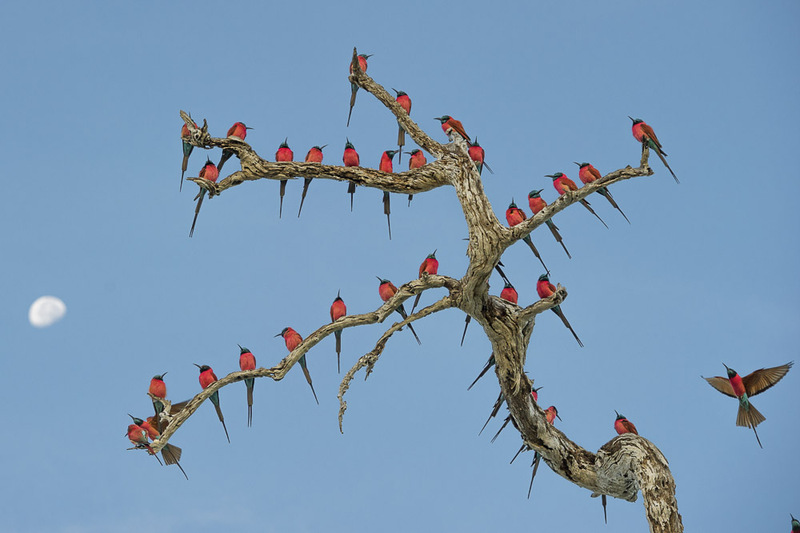 The Northern carmine bee-eater is a beautiful and gregarious seasonal visitor to the Selous. They are often found early and late in the day roosting in great numbers on trees and bushes in and around lakes and rivers. 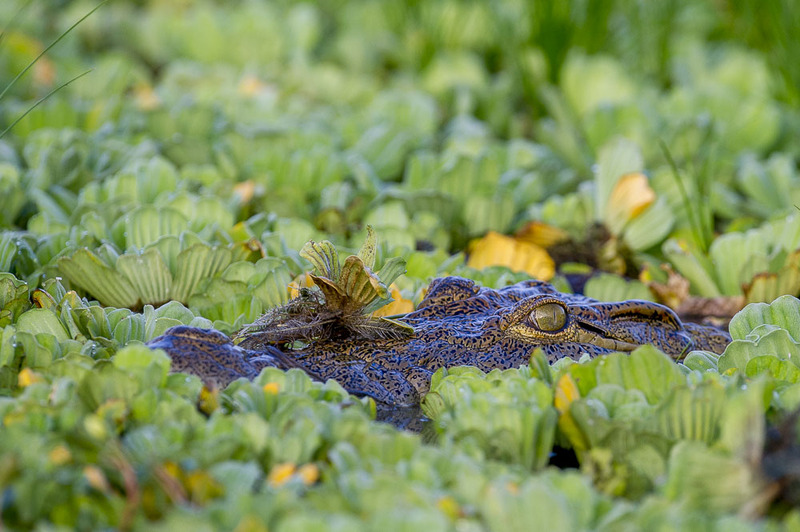 Crocodiles, like domestic cats, have vertical slit-shaped pupils and excellent night vision. 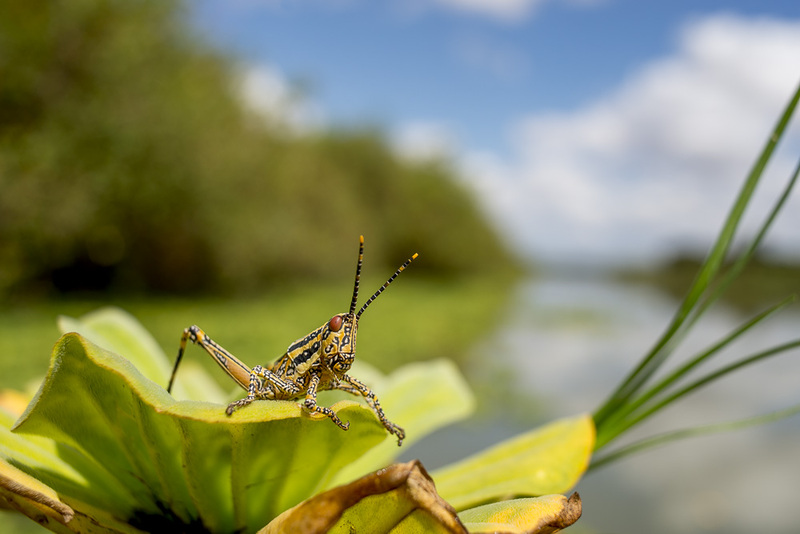 The aptly named Elegant grasshopper appears in its thousands along the edges of rivers and lakes in the northern Selous for a short season, and then just as quickly disappear. 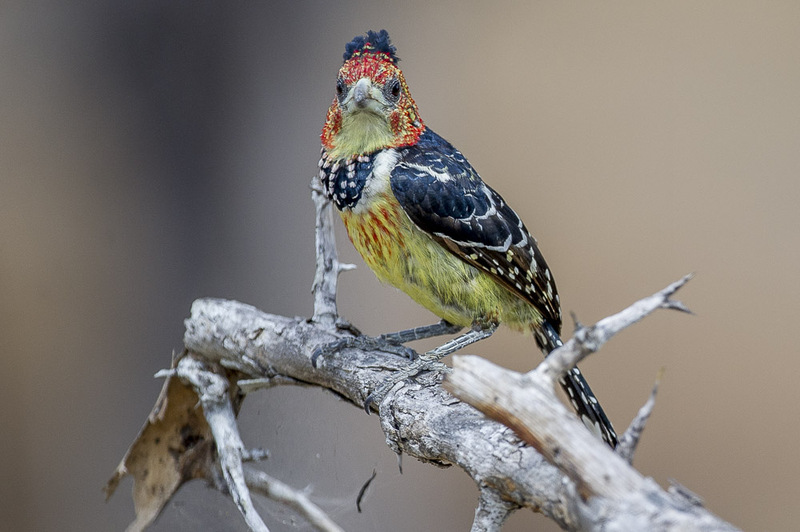 The Crested barbet is an aggressively territorial bird. It has been recorded chasing of other barbets, doves and other larger birds, as well as rats and snakes. Stately Borassus palms rise from the swamps between the Rufifi River and the northern lakes. A lioness stalking her prey, well camouflaged in the dry savannah habitat, waits for her opportunity to pounce. 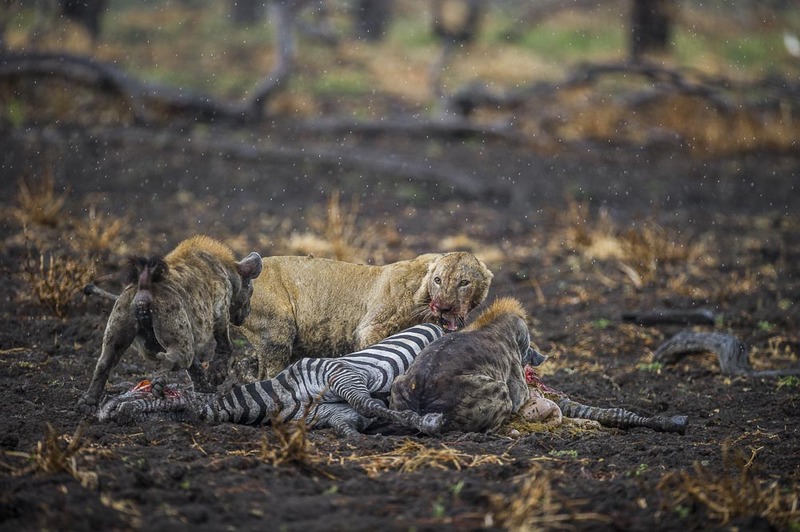 Eternal enemies, lions and hyaenas fight over a zebra kill. Both are skilled hunters but will steal a kill when the opportunity presents itself. Elephants consume more than one hundred kilograms of vegetation daily. 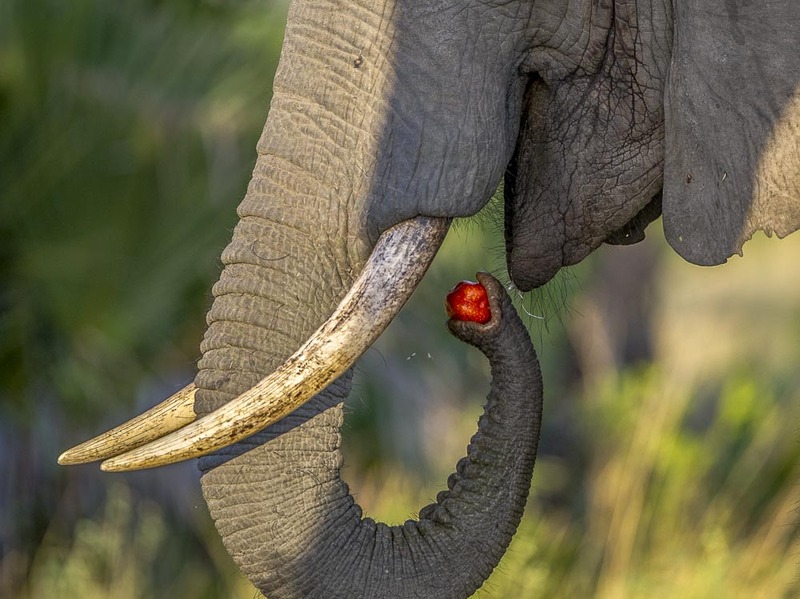 The fruit of the Doum palm is one of the elephant’s favourite foods. 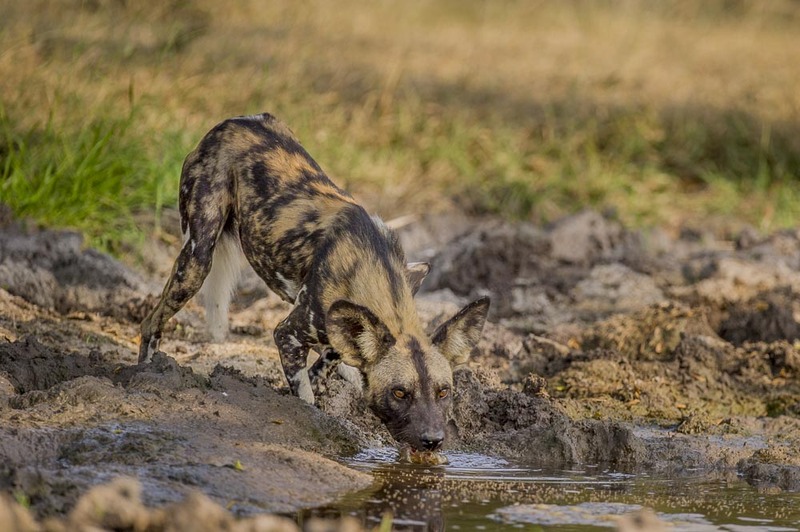 The Selous is home to one of the larger single populations of African wild dogs, orAfrican painted dogs as they are also known. White-fronted bee-eaters are found in abundance in the Selous. 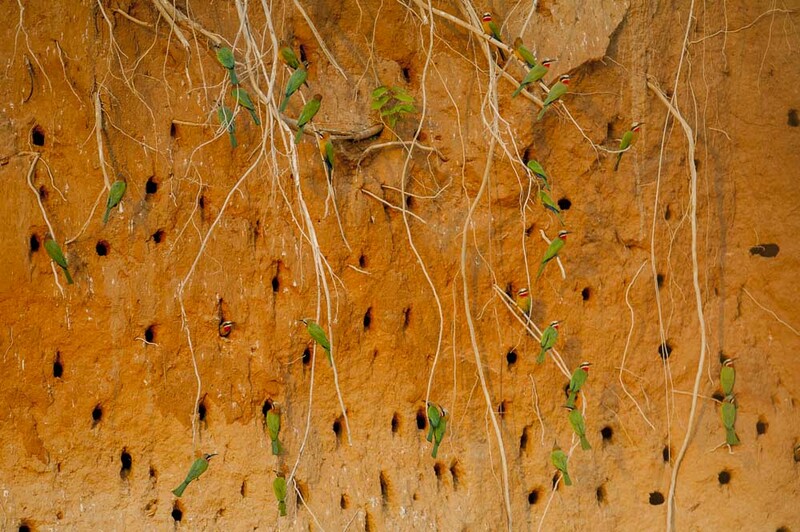 These colourful birds reside in colonies of several hundred individuals, digging holes for nesting deep into the steep banks of rivers. 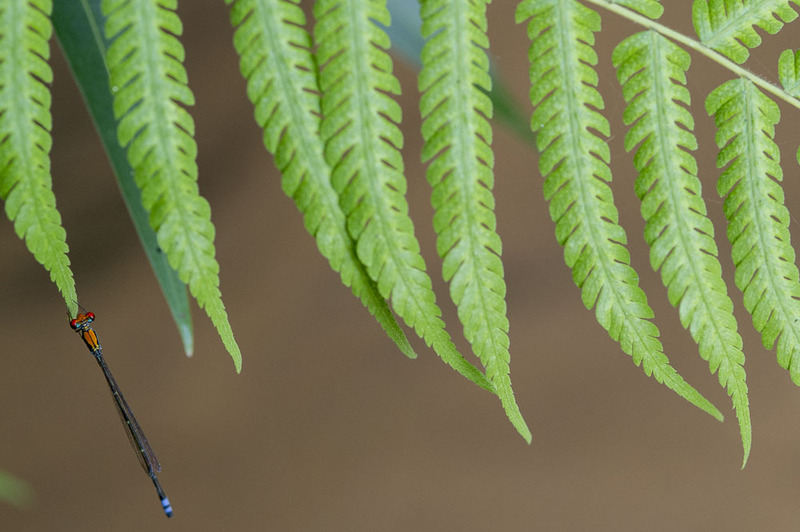 A Blue-sided sprite, one of the myriad damselflies found in the Selous, rests on the tip of a fern leaf. A lone Common waterbuck on a sandbar in the Luwegu River. 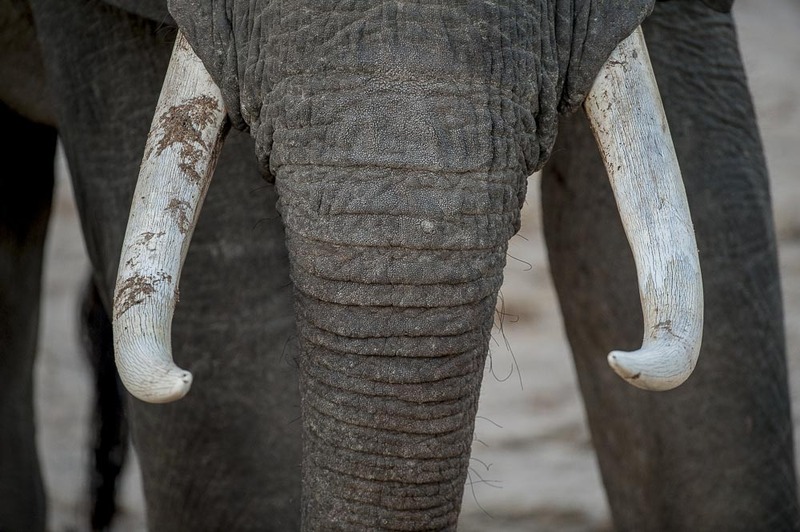 Ivory tusks are used by elephants for a number of tasks including stripping bark from trees, digging and, on occasion, for battle. Human demand for ivory threatens the very existence of these magnificent creatures. 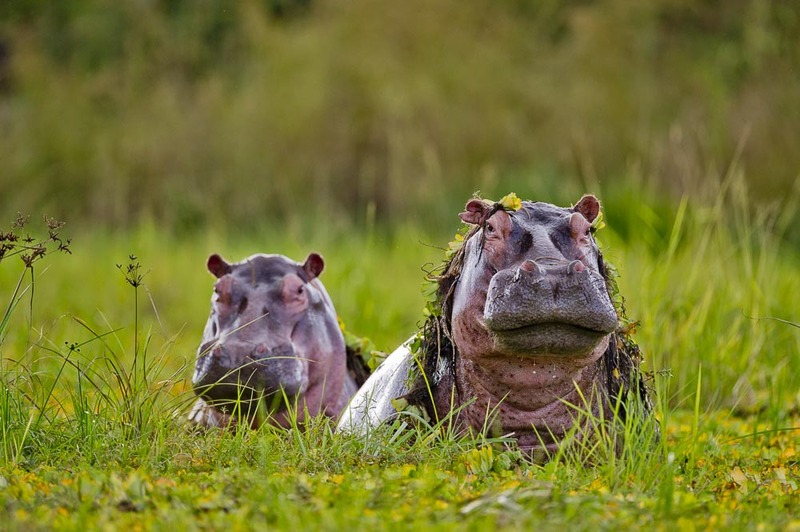 Hippos of the Selous often spend their entire day semi submerged in pans where the water hyacinth helps to protect their thick but sensitive skins. 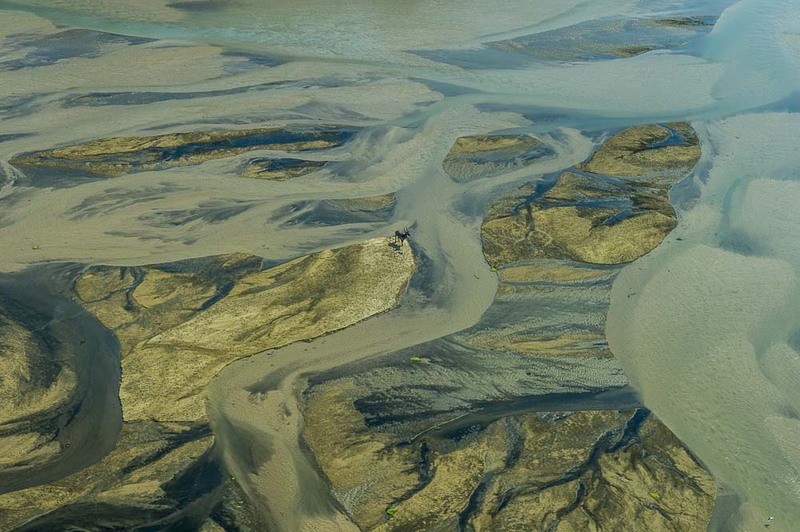 During the dry season the rivers that course through the Selous Game Reserve dry up, some of them completely, into sand rivers. Peter Matthiessen wrote ‘Sand rivers’ about a walk he made through the Selous in 1979. 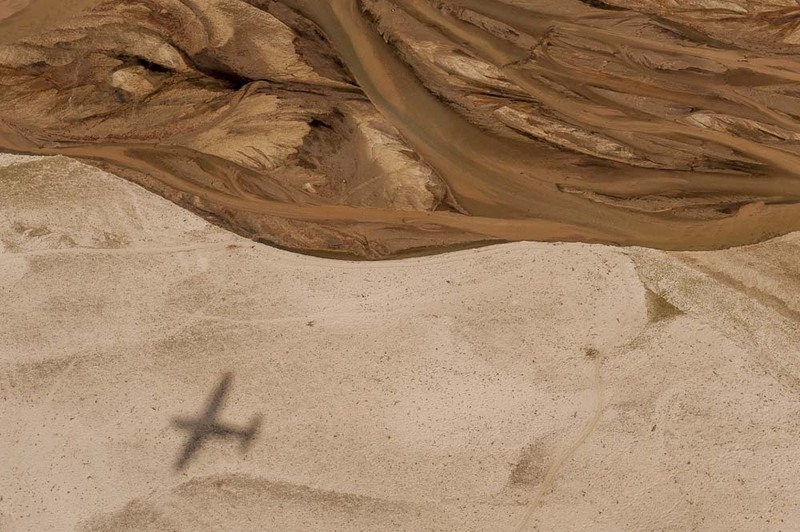 Here the Luwegu River is dry below the shadow of the airplane and water flows above.